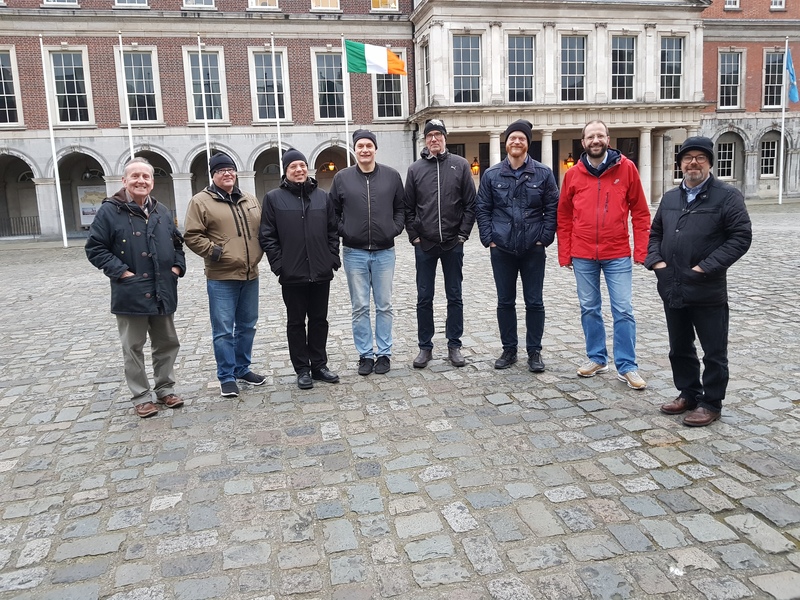 The fourth partner project meeting took place in Dublin, Ireland, attended by all partners at the Skylon hotel, with a visit to Dublin Castle that evening followed by dinner. 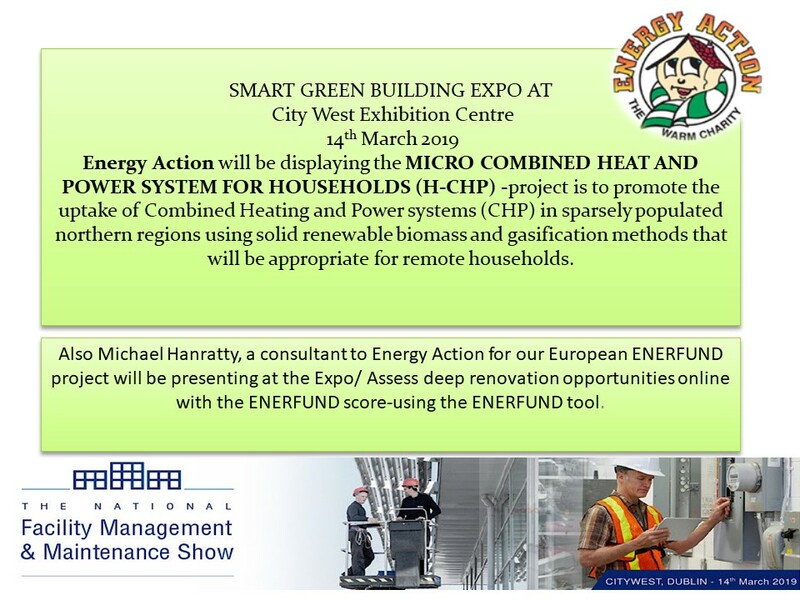 The second day all partners attended the Smart Green Building Expo, where the host partner, Energy Action had a H-CHP stand. 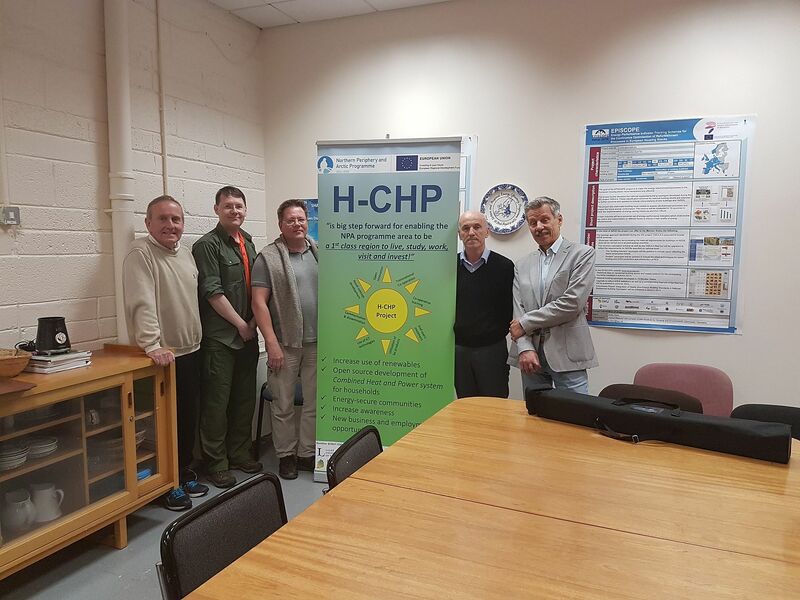 The group participated in Energy Action's European Horizon 2020 ENERFUND project, which was presented by Michael Hanratty, Energy Action. 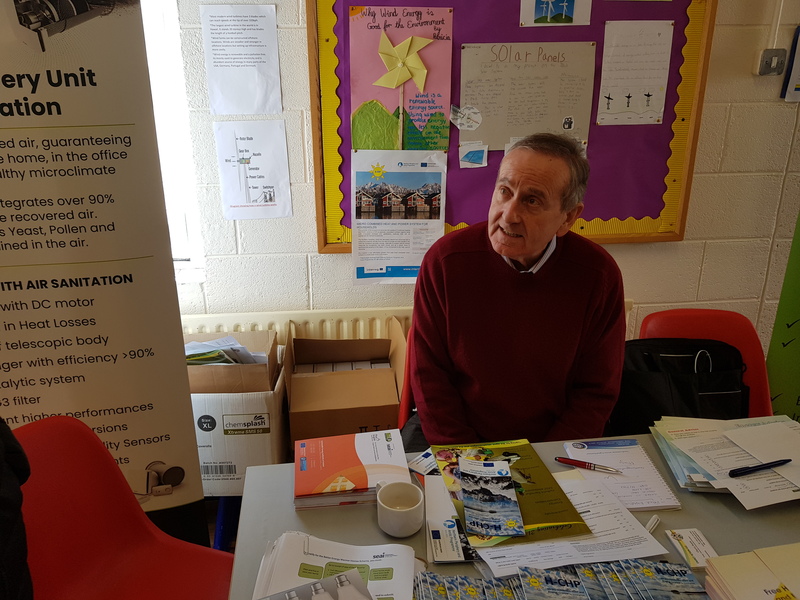 Louisburgh, Co. Mayo Community Futures held an open day in Louisburgh National School on Sat 19th January 2019. 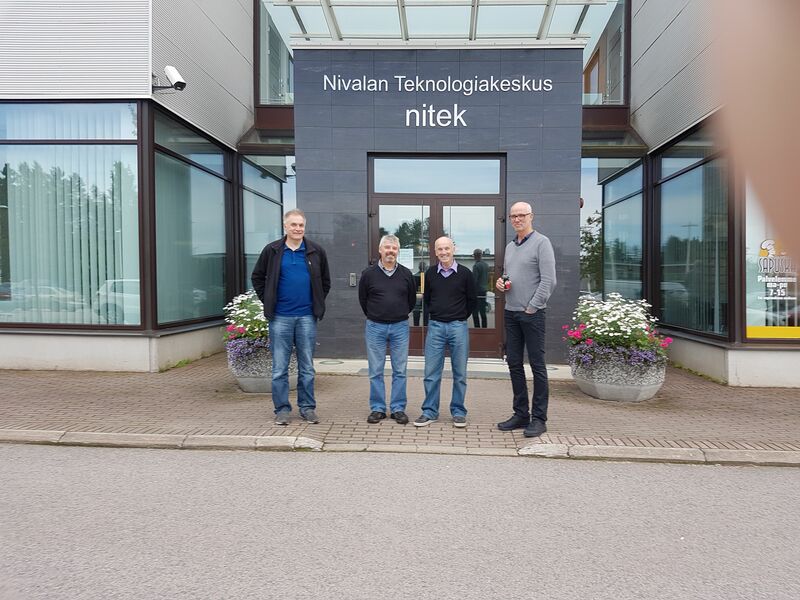 Energy Action was invited to participate and present the NPA Interreg H-CHP project. 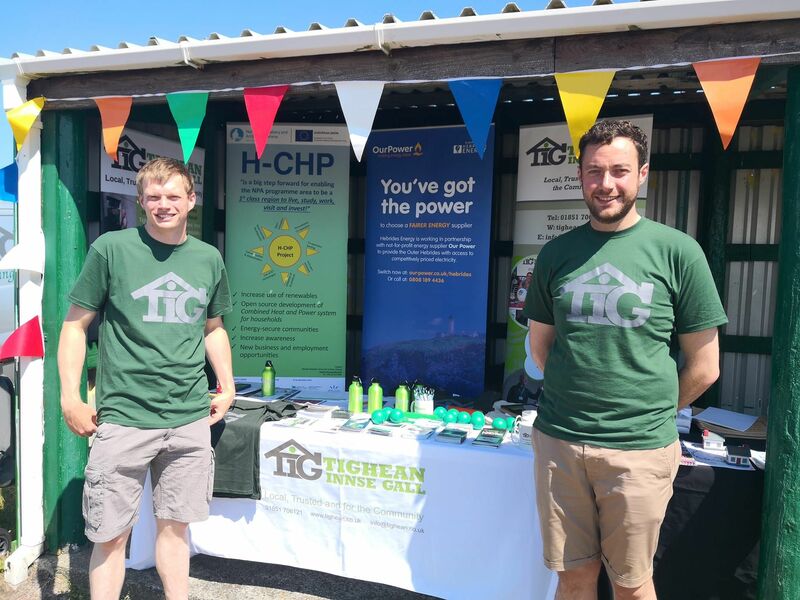 Project manager Charlie Roarty, was available to discuss the project and handed out leaflets and the H-CHP video ran for the 3 hours on a continuous loop. 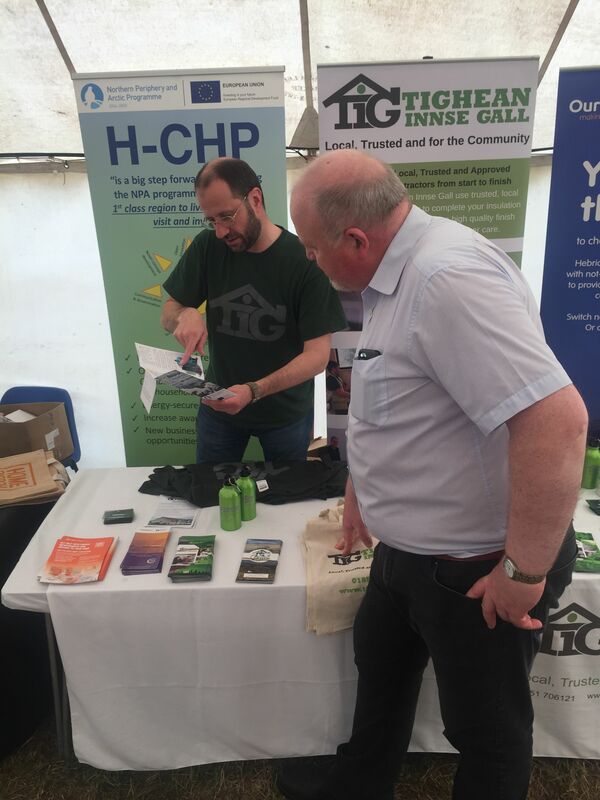 16 householders filled in H-CHP questionnaire and would welcome more information including energy advice. 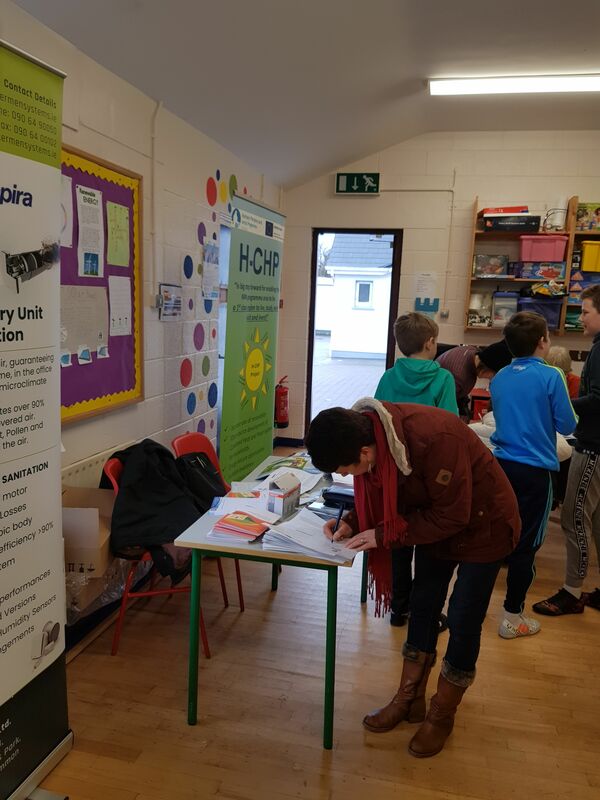 SEAI representative, Mayo Co.Council, Energy sponsors, local business owners, local community including teachers and pupils from Killeen National School and Louisburgh National School and local clergy attended. 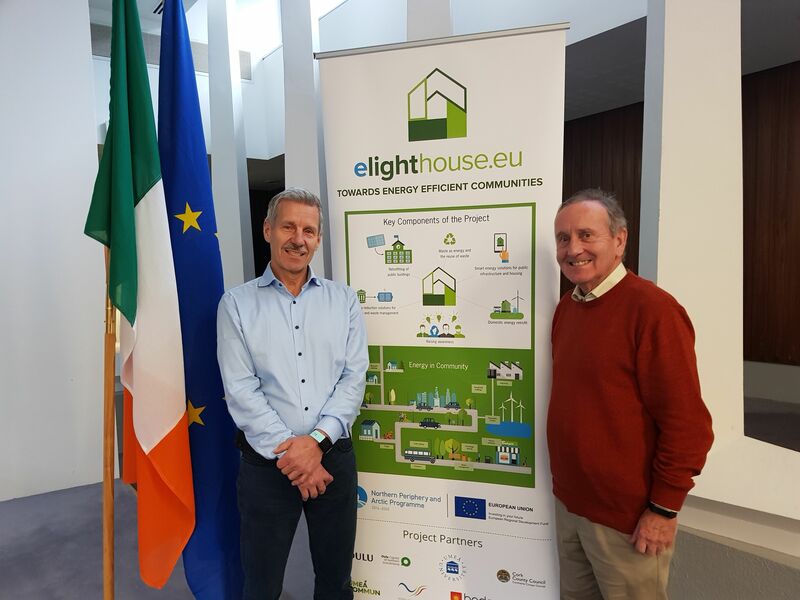 E-Lighthouse partners held a presentation with the Northern European Energy Cluster (N-EEC) in a joint project between 3 European projects in the northern periphery regions, Renovation Centre Tuesday the 11th December in Cork County Hall. 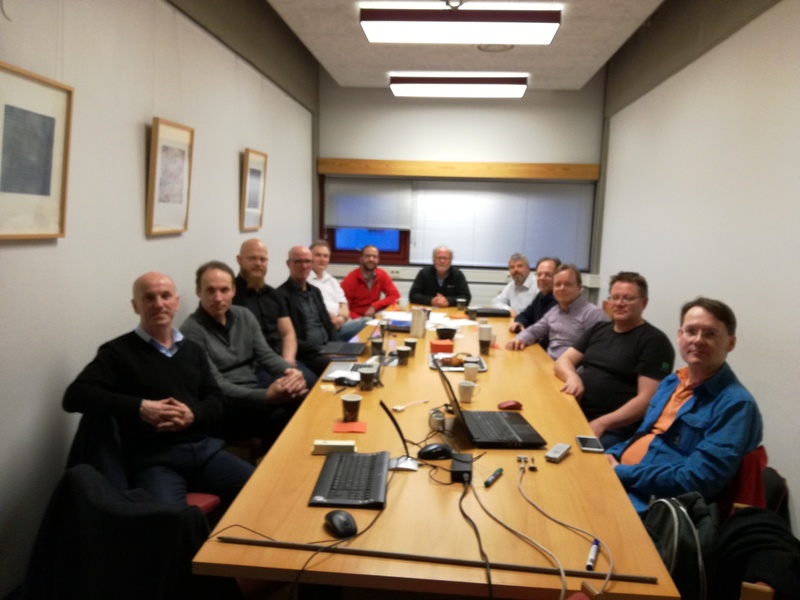 Partners in this project are from Finland, Norway, Sweden, Greenland and Scotland. 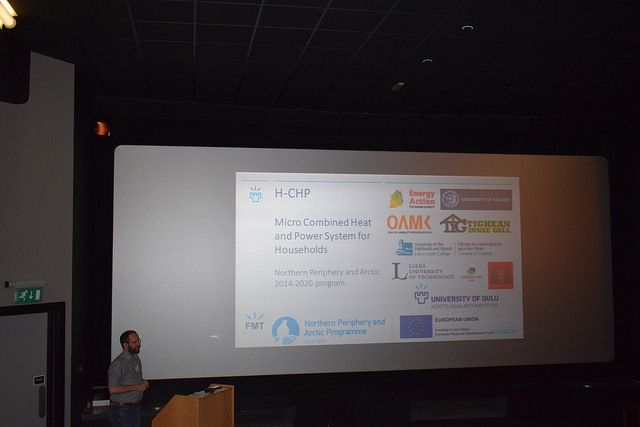 Antti Haapalahti who is the project leader from Finland is also involved in the H-CHP project. 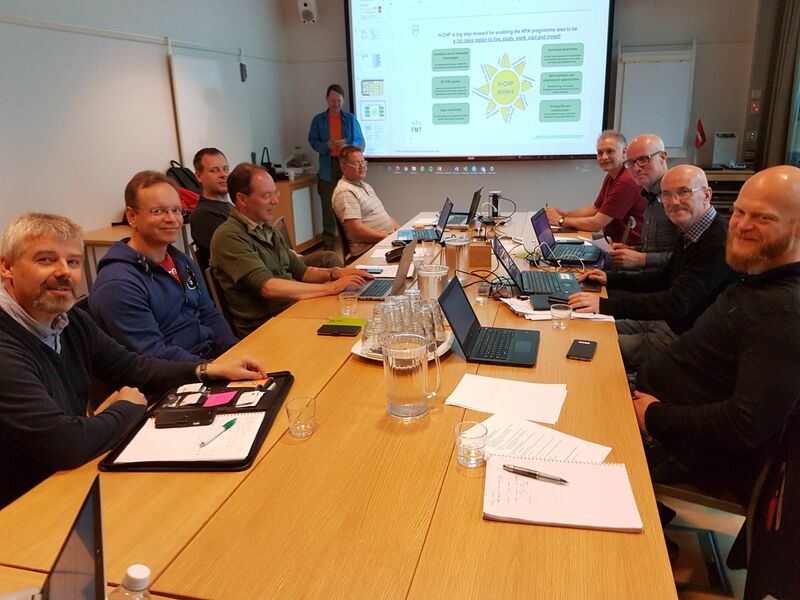 Picture shows l-r Antti Haapaalahti and Charles Roarty, Energy Action. 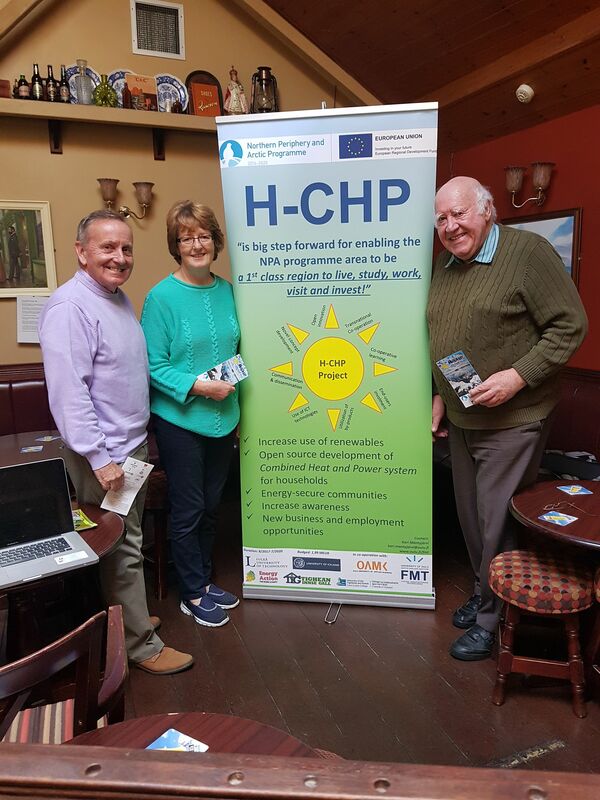 Energy Action carried out a H-CHP Presentation at the Quarterly Community Based Organisations Forum meeting held on 25th October 2018, in Athlone, Co West Meath. 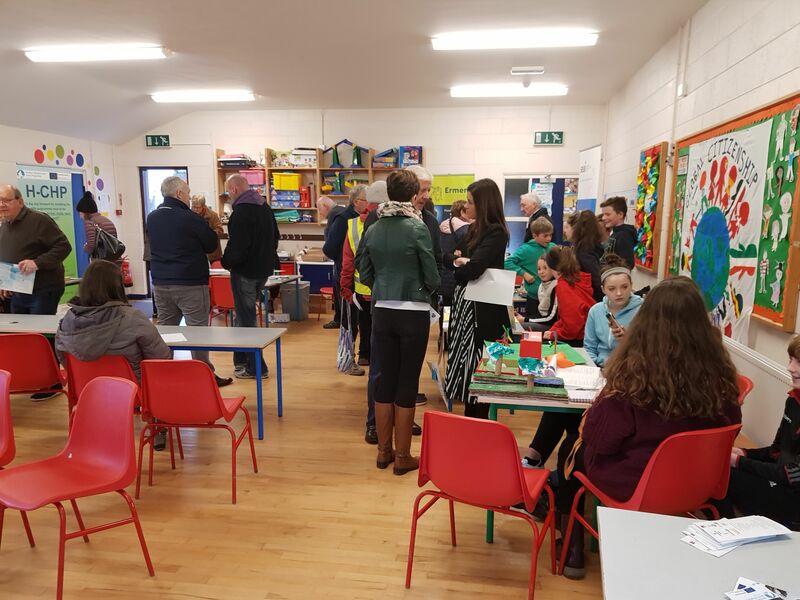 14 Community Based groups from every part of Ireland were present and participated with questions after the presentation to find out more about the project. 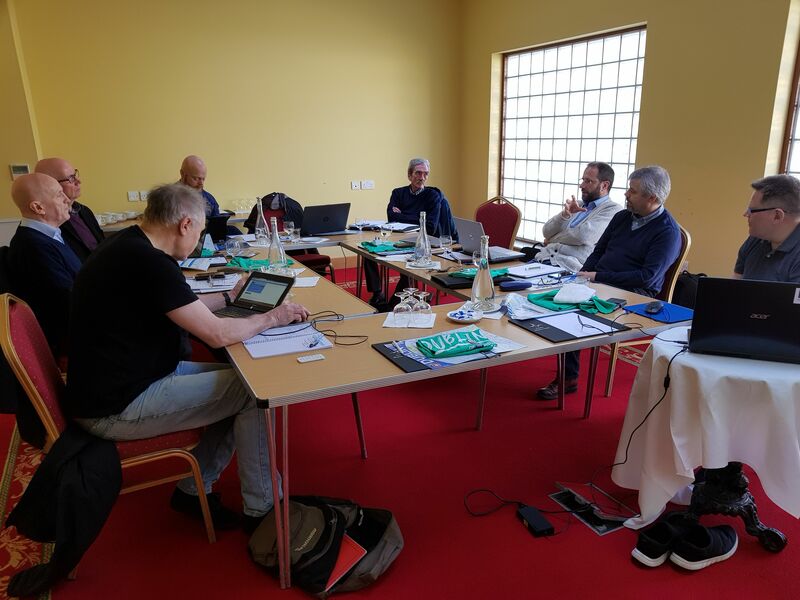 5 of these groups have been involved or are presently involved in the Northern Periphery and Arctic Region Interreg programmes, including North Cork Enterprise, Tait House Limerick, CLARICH Co. Mayo, Energy Action, Dublin, IRD Duhallow. 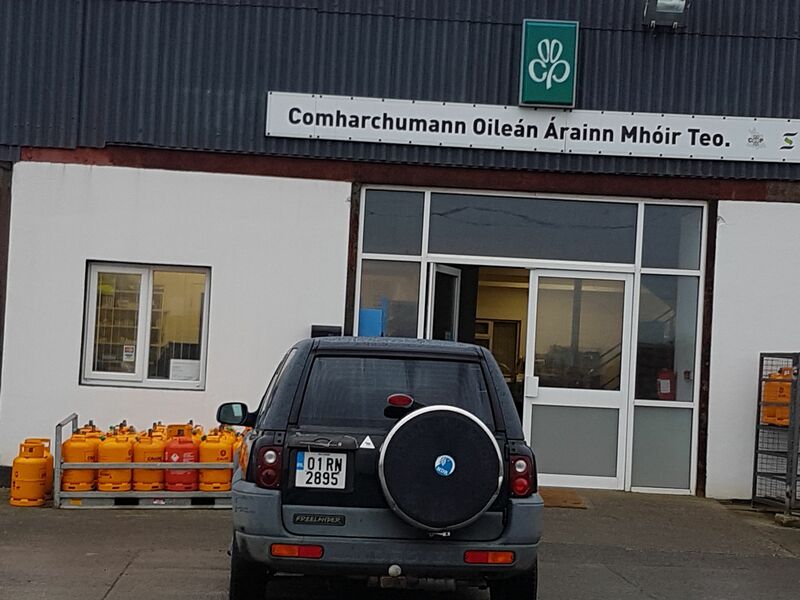 Co. Cork. 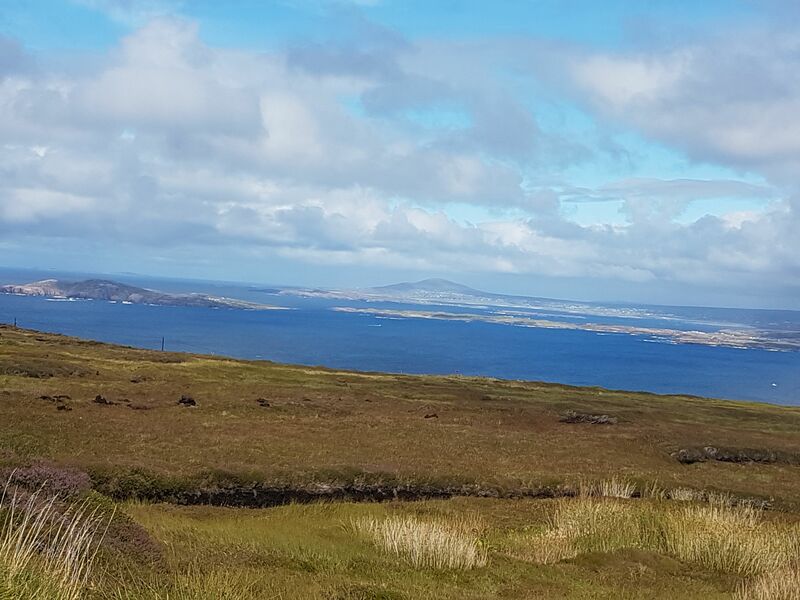 Energy Action has already visited NCE, Cork and CLARICH Co. Mayo. 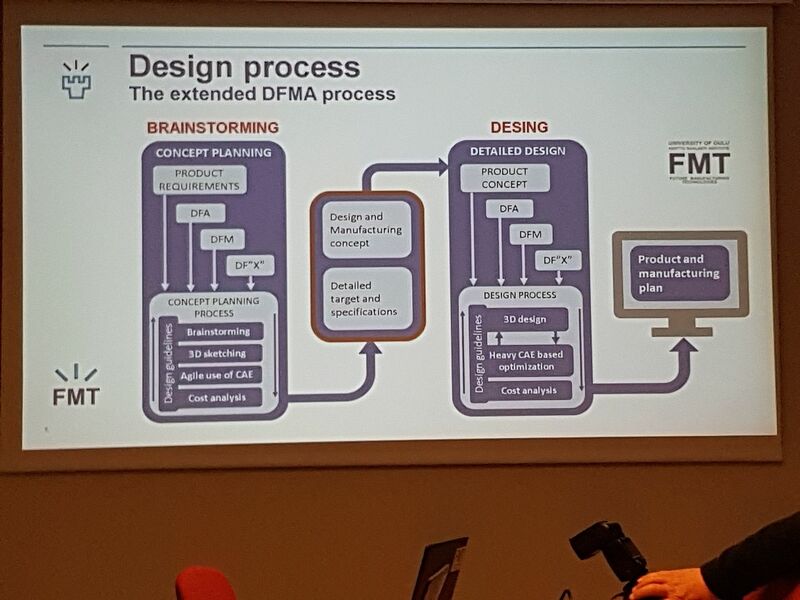 Click Here to view presentation. 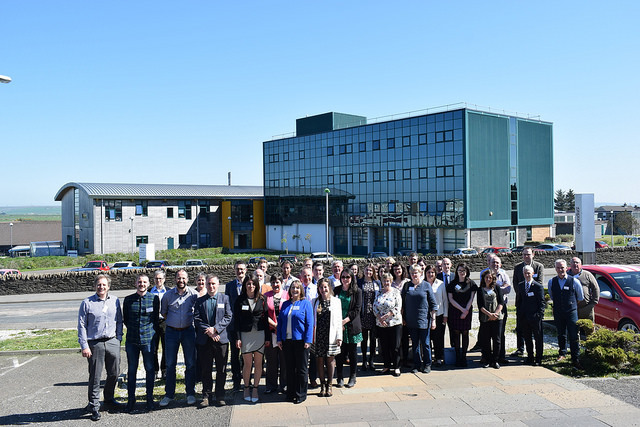 Tighean Innse Galls' Brian Whitington addressed the conference, Local Opportunities through Nordic Cooperation, held in Thurso, Scotland on 24th May 2018. 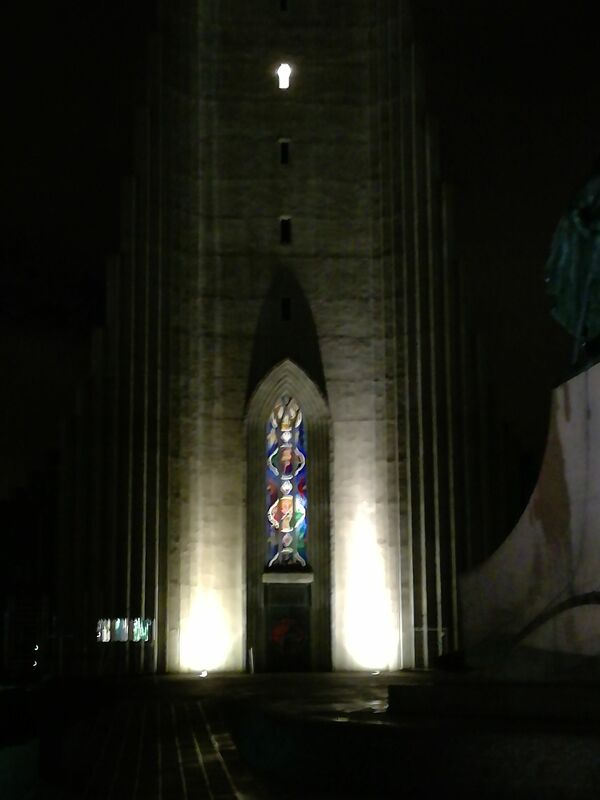 His address was on the benefits of H-CHP and how northern periphery area partnership is achieving this. 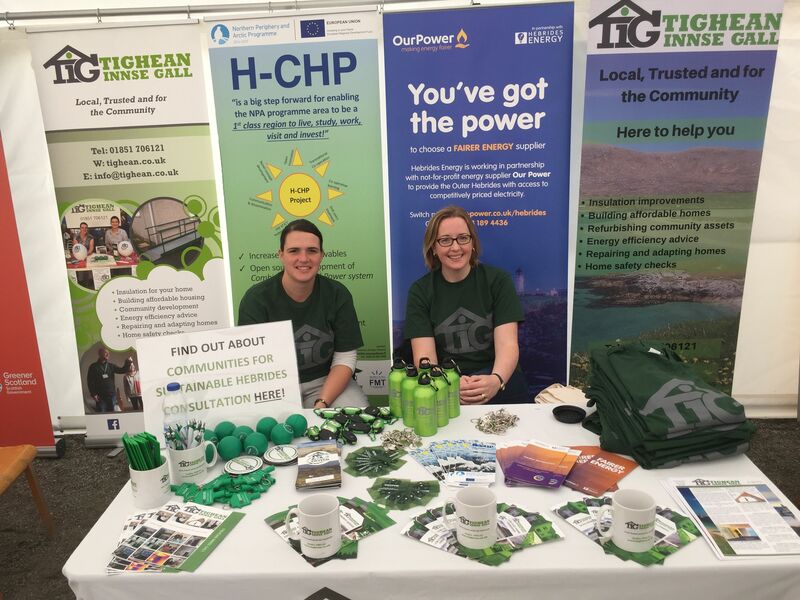 Of interest to the conference was the development of supply chains, and how this will stimulate economic development across the region, in particular to the Highlands and Islands and supply of biomass.